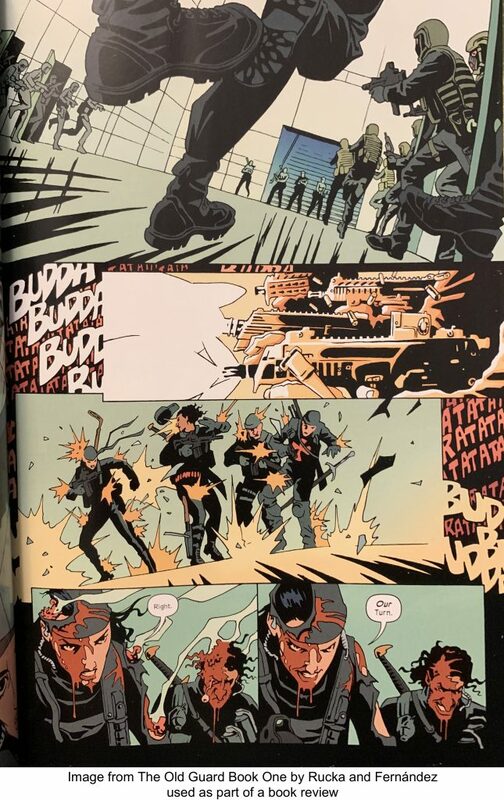 The Old Guard Book One: Opening Fire written by Greg Rucka, art by Leandro Fernández, colors by Daniela Miwa. Image, 2017. 9781534302402. Contains #1 – #5. Publisher’s Rating: Mature Readers. Andy is the oldest member and leader of a small mercenary team with a secret: they’re immortal. After trying to save a group of abducted schoolgirls, their secret is out, and they need to get the information back under their control. There’s one complication: they have to retrieve a new immortal, a young female Marine in Afghanistan who just “died” for the first time. There’s a bit of romance, a fair helping of cynicism, and a whole lot of bullets. Is this all a bid to relaunch the Highlander franchise without the idiocy and the lightning of the Quickening? God I hope so. 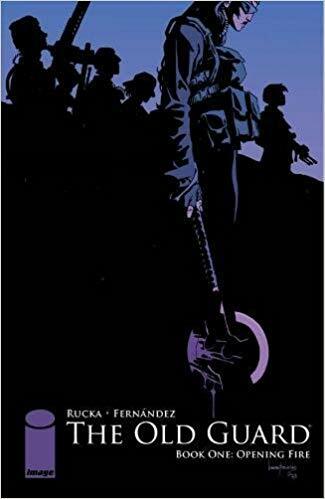 Rucka (Queen & Country, Gotham Central, many others) is one of my favorite comics writers because he delivers beats every page, issue, and book. 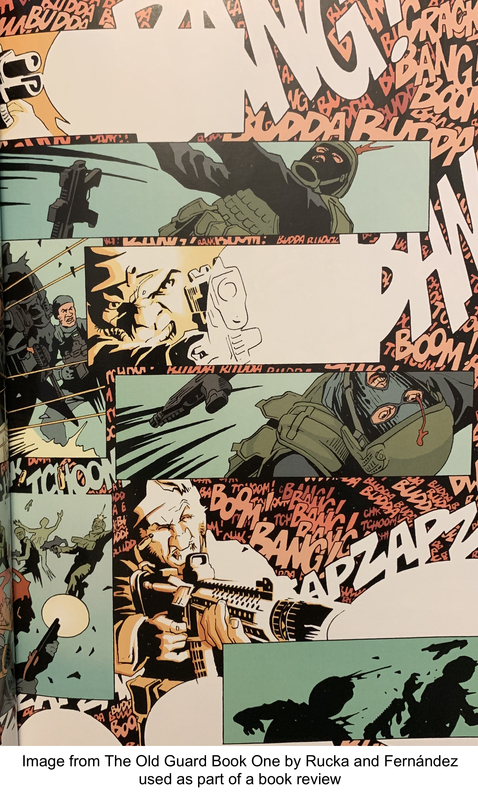 Fernández’s art reminds me of Risso’s in 100 Bullets — it’s powerful, emotional, full of well-used black spaces, and really violent when it needs to be.